ROV services company, Rovco, has secured Innovate UK funding which will enable the firm to carry out extensive research and development activity and perform a full feasibility study into the advancement of underwater 3D modelling technology. Once developed into a real-time inspection system this technology has the potential to revolutionise the way energy companies manage and inspect their subsea assets, potentially saving hundreds of millions of pounds in subsea inspection costs each year. The project will be 70% supported by Innovate UK and the remaining 30% will be funded by Rovco. The newly-formed company will be seeking further equity investment in the 2nd quarter 2017 as it looks to engage with subsea companies, software developers and universities across the country to become collaborative partners in the firm’s latest venture. Innovate UK is the UK Government’s innovation agency. It works with people, companies and partner organisations to identify and drive forward the technology that will help grow the UK economy. 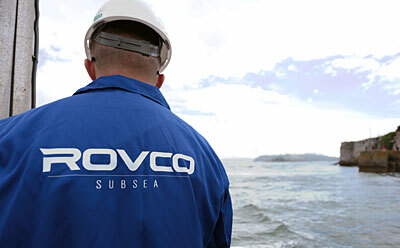 Launched in September, Rovco aims to become a leading ROV and inspection company within the next three years, with expertise and capacity to carry out underwater inspection projects across the globe.